Why Should I Choose Nikrans Mobile Repeater? Faces the issue of dropped and missed calls? Or got tired of constant ruptures of Internet? Or miss important business calls when you drive? The reasons people need a mobile repeater vary. The only thing that does not change is the way to solve this problem. 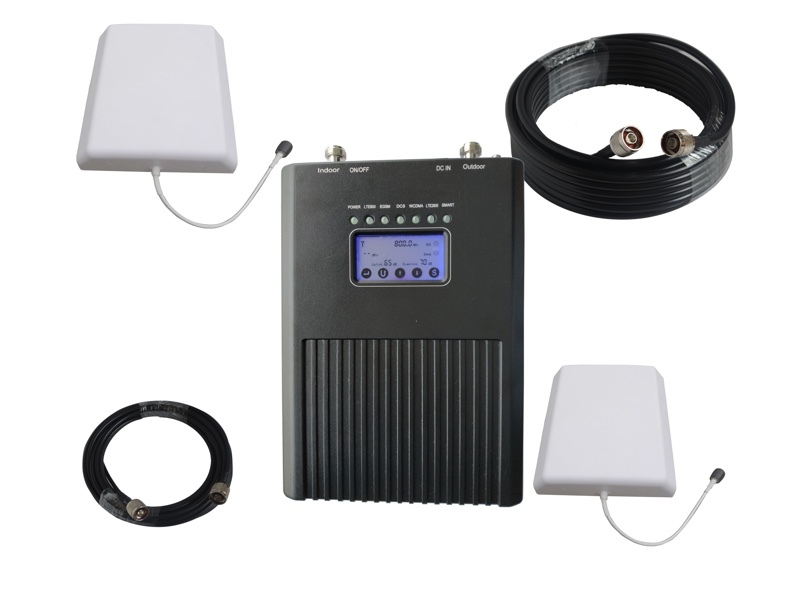 Not without a reason a mobile repeater has become a number one solution to bad signal issue as this equipment has proved to be the only effective device that can easily fill up the covering shortage and provide you with stable Internet connection and convenient cellular communication. Once you have decided to purchase a cell booster, the dilemma is to choose the right brand that manufactures durable and reliable equipment. Precisely this is the reason most choose Nikrans production. Nikrans is a Chinese-based company that manufactures a vast range of cell boosters. Not so long ago few people knew about the brand, but thanks to professional team and longing for the best has made Nikrans number one choice on the telecommunications market. Among major advantages and features of Nikrans mobile repeater there is first-rate quality of every manufactured item, professional team that works hard on improving the technology of producing cell booster sets and attractively reasonable prices. According to customers who have tried Nikrans mobile repeater, this brand really deserves to grow up and to be known. Actually the company is growing up, which reveals in creating a wide chain of stores and warehouses all over the world. Today Nikrans has already established a well-organized cooperation of outlets and stocks, the largest of which are located in USA, European Union, China and South America. In the result, Nikrans has become capable of distributing their mobile repeater sets to 215 countries around the globe. Enough for creating convenient and effective organism! You will also like a wide assortment Nikrans offers. At the moment the company manufactures 77 different models of cell booster sets, among which there are 53 designed for personal use and 24 for industrial application. With the development of Internet marketing, Nikrans has created some online stores. The largest one is Myamplifiers.com that distributes cell booster sets all over the world. Thanks to long-term contracts with FedEx, EMS and DHL, you are free to choose the way of delivery most convenient and suitable for you. For more information about Nikrans mobile repeater you are welcome to Myamplifiers.com where in 5 minutes you will find out how a mobile repeater works, how it is installed, why and where it is used and how to choose the suitable cell booster for your country and mobile operator. Are your mobile repeaters certified? Good afternoon to all who reads my letter. My name is Jane, I am a teacher. You must be thinking why I told you that. Not to boast , not, of course. In education it is very important for you to confirm your knowledge of not only by words but also by the relevant documents. There is very bad Internet connection in my house. I need to boost Internet and mobile coverage. Do you have mobile amplifier for that? Hi. I am Jake and I live in England. And now I know everything about signal coverage problems. I live far from the town and the mobile station can’t help me to stay connected. But I need to. I want to talk with my children and my friends. I don’t want to write letters. So I read about it in the web. But I didn’t even imagine that my own problems are twice bigger. The overwhelming majority of modern cell phones are equipped with 3G technology. The third generation innovation permits exchanging data and enjoying numerous advantages of mobile Internet. However, the most widespread 3G network issue is unstable signals, which badly influences the quality of the data transmissions.